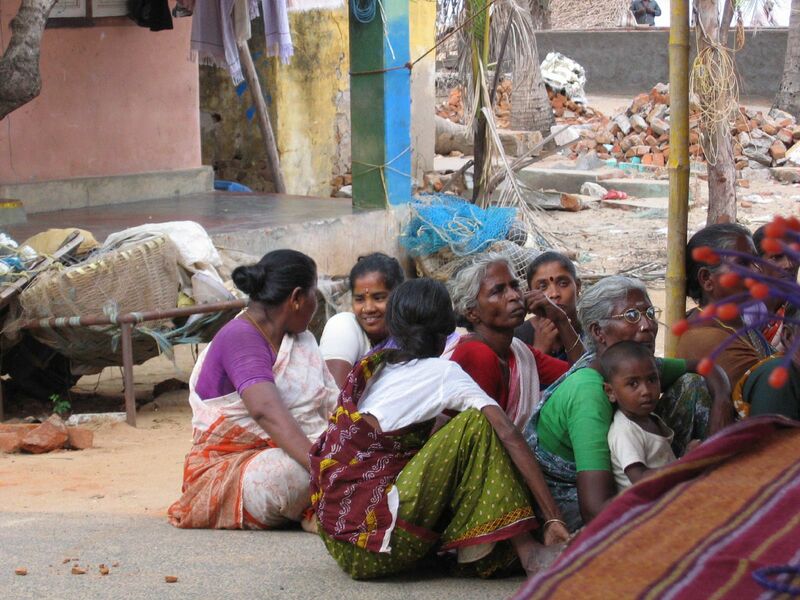 Rural women in a village near Trichy had to walk several hours to relieve themselves. A substantial time of the day was spent in going to a remote location to defecate. They came up with the idea of creating community toilets in the center of the village to make them easily accessible. A spot in the village, which was always filled with garbage, was chosen to construct the toilet. The place was cleaned and a brand new toilet was made. The construction of these toilets eliminated the huge amount of garbage there. Women started using these toilets and saved about three to four hours of their time, which was earlier spent in reaching far off locations for defecation. Since women had more free time on their hands now, they thought of utilising this time in a more productive way. They started community services and counseling centres on the terrace of these toilets. When it came to cleaning the toilets, they hired a person full time and gave him free accommodation. They designed his house in such a way that his house’s entrance was connected to the toilet. So if he didn’t clean the toilet, his whole house would stink. The idea worked. The village now had a clean toilet in the center of the village along with a community center, which was addressing several issues women faced. This small innovative idea not just improved the sanitation scenario of the village but also brought a community level change.